Gartner Peer Insights is a robust enterprise IT product and service review platform that hosts more than 195,000 verified customer reviews across 320 defined markets. In markets where there is enough data, Gartner Peer Insights recognizes the vendors that are the most highly rated by their customers through the Customers’ Choice distinction. This peer-rated distinction can be a useful complement to expert opinion, as it focuses on direct peer experiences of implementing and operating a solution. 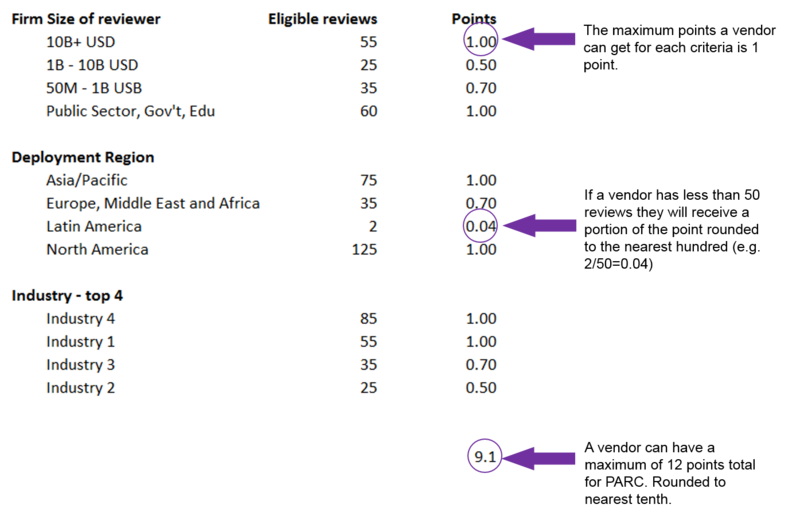 To qualify for the Customers’ Choice distinction, vendors must have a product that is aligned to the market, have their overall rating (out of 5 stars) equal or higher than the mean rating for that market, and have a Product Adoption Review Coverage (PARC) or PARC of 3.0 or the median PARC score of the market (whichever is higher) in the same market as defined below. A maximum of seven vendors will be named a Customers’ Choice in a market. In markets where more than seven vendors meet the eligibility criteria, the seven vendors with the highest PARC within the submission period will be named. “Eligible reviews” must be submitted between A May 1, 2018 and April 30, 2019, AND are approved/published on the web site. Reviews from end-user companies <$50mm in revenue will be excluded from this methodology. Learn more about our review approval process here. 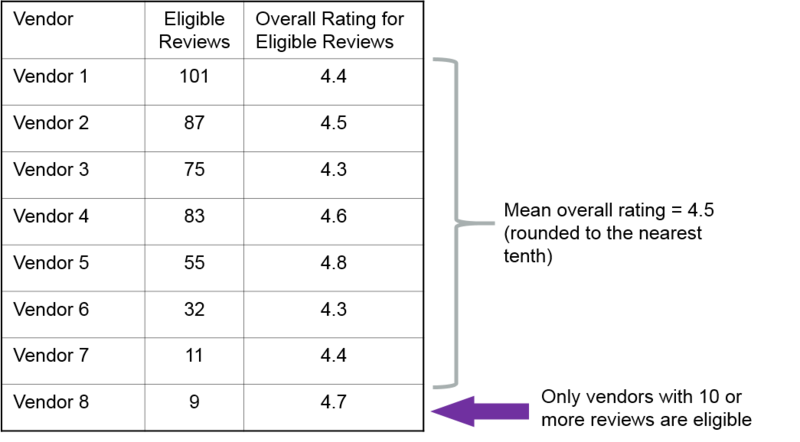 A vendor must obtain a PARC equal to 3.0 or the median of the market (whichever is higher, rounded to the nearest tenth) across all eligible vendors in the market to qualify for the Customers’ Choice distinction. For reviews that do not have a response to the deployment region question, the review will not contribute to the deployment region section of the PARC calculation. The other responses from the review will be included and contribute to the company size and industry calculation as well as rating. Mean overall rating for a vendor will be calculated based on “Eligible reviews” that must be submitted between May 1, 2018 and April 30, 2019, AND are approved/published on the web site. Ratings and reviews must first pass our validation, conflict of interest and moderation process — please see our Peer Insights Review FAQ. For vendor guidelines on how to use the Gartner Peer Insights Customers’ Choice badge and the quote policy.